The Sunday Times, in a ridiculously one sided and misleading article, have evidently decided that we all need reminding again that the “Arctic Ice is melting”, and apparently we and the polar bears are all going to die, possibly as early as next year. 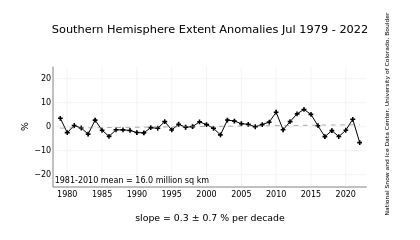 For some reason, Jonathan Leake forgets to point out that the minimum extent this year, according to NSIDC, has finished just a few thousand sq km below last year’s number, thus confirming the recovery and stabilisation of ice since 2007. Indeed, both of the last two years have been close to the 2005 figure. There is clearly no evidence at all that we are witnessing a “death spiral”. Both DMI and NORSEX confirm a similar picture. The report, which is behind a paywall, quotes one “Cambridge Professor” as saying that the Arctic icecap could vanish as soon as next year. As his name is shown as a source, it looks like our Professor is none other than Peter Wadhams, who has a track record of making such predictions. The only real surprise is that anybody pays the slightest attention to him now. To make it all sound even scarier, the chart tells us that 11,100 sq miles of ice was melting everyday in the first half of September, the equivalent of umpteen Wales. Has it not occurred to the clearly mentally challenged Science Editor that this is what ice does in the summer? Climatologically, the Arctic loses about 21,000 sq miles a day during the melting season, only to put it all back on again over the winter. Can we expect a headline in six months time warning us that we are heading into an ice age because two and a half Wales have been covered by ice every day? As there is nothing in the data to support the headlines, Leake decides to mention a rather curious but inconsequential fact – that the distance from the North Pole to the one edge of the icecap is the shortest on record (which of course only goes back to the start of the satellite record in 1979). The simple fact is that the icecap moves around from year to year, and its proximity to the Pole is of little consequence. There is no law that says the Pole has to be the centre of the ice, or the coldest point. He might also have pointed out that ice continues to build around the Canadian coast, where it cannot easily be swept away to warmer waters. As a result, the Northwest Passage has been closed for business all summer. As this continues to build up, the ice there will grow thicker and older, continuing the recent trend. Still, the picture of the poley bear is cute! There was a time when the Sunday Times was a respected outfit, but apparently no longer. ← Academics To Analyse Why Electric Cars Are Crap! Support Global warming! Hug a polar bear. If more did that, there would be fewer self destructive idiots in the world. The bears are not only cute, but getting fat. Time for the AGW folks to ditch the polar bear and adopt baby seals for their fund raising campaign images. The seals are the ones in mortal danger. Baby seals could cause flashbacks to seal clubbing and start another round of PTSD. RE: It’s happening! Alaska has managed to bring global warming down!!! That is almost one whole degree C down since 1998. It started — The People’s Climate Mobilisation is happening all over the world! Rallies in Lisbon and Delhi, marches in Istanbul, Manila, Cape Town, Majuro and Papua New Guinea, concerts in Johannesburg — this is true people powered movement: enormous, powerful, diverse and beautiful. People from all backgrounds acting locally, mobilising their communities, shaping the future of our planet. And this is just the first day — tomorrow there’ll be even more in places like London, Rio and Melbourne. Now it’s time to show these stunning organising images to world leaders — literally. We are collecting photos and videos from actions all over the world, and we will display them on huge screens in New York City so heads of state coming to the city for the climate summit wont miss them. Please share your images with us — let’s show what Action, Not Words looks like! •	Submit your photos and videos: send them to us following the instructions here. We’ll make sure we’ll display them on screens during the People’s Climate March in New York. We’ll also feature some of them on People’s Climate website. •	Share on social media: You can also share images on social media using the hashtag #PeoplesClimate. We will be tracking and featuring these posts on the People’s Climate Mobilisation website and at the march in New York City — and re-sharing on social media too! All of us, everywhere, together, demanding Actions, Not Words on climate — and in pictures. There’s no way heads of state will miss that. PS: If you want to join another People’s Climate Mobilisation action tomorrow (or if you could not make it today) you may still find another action nearby — search for another event here. Can we share the pictures of trash, plastic cups, and mess made in the effort to show how much these people care? Based on projections from current climate models, a plausible date for the earliest ice free (defined as extent less than 1 million square kilometres) summer in the Arctic would be 2025-2030. I’ve asked if they’ll do a follow up for the Antarctic record. …..methane plumes rising up from beneath the ocean floor eh? Maybe he’s onto something. It makes sense doesn’t it? Or something. After all it was only last Christmas that they were mounting expeditions to show how the sea ice was disappearing in the Antarctic. I still think some of these warmists are going to have mental problems dealing with the eventual realisation, just like 19th Chritians did with the age of the Earth. That’s 19th Century Christians – sorry. Why do I always need an edit button???!! 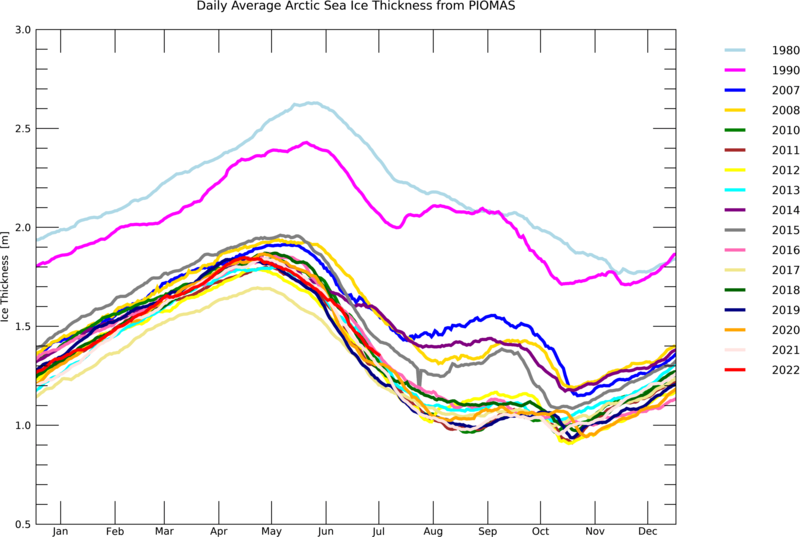 Very few scientists, including climate scientists, agree with Paul Wadhams’ sea ice forecasts. This is made clear in numerous recent ‘tweets’ by notables such as Gavin Schmidt and Ed Hawkins. 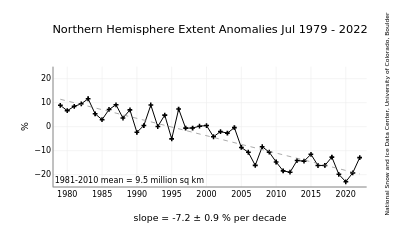 As far as accuracy and reality is concerned, Dr Wadhams is the David Archibald of Arctic sea ice extent decline predictions. Arctic Sea Ice is 7.2 million Km2 (1981-2010 mean). shows a slope of -10.3±2.1% per decade. I see no “death spiral” for global sea ice here. A local grocery store has a similar problem. They say “buy 2, get one free.” I only want 1 but they won’t give me the free one. This new math is hard. That’s why many young people have trouble learning. The graphic shown as being sourced from NSIDC shows the North Pole in a mass of white that extends about half way south in Greenland. This makes no sense. The 350 miles to the edge of the ice cap must be measured to the orange area north of the pole. The location of the NP appears to be in northern Greenland. Did someone shrink Greenland? 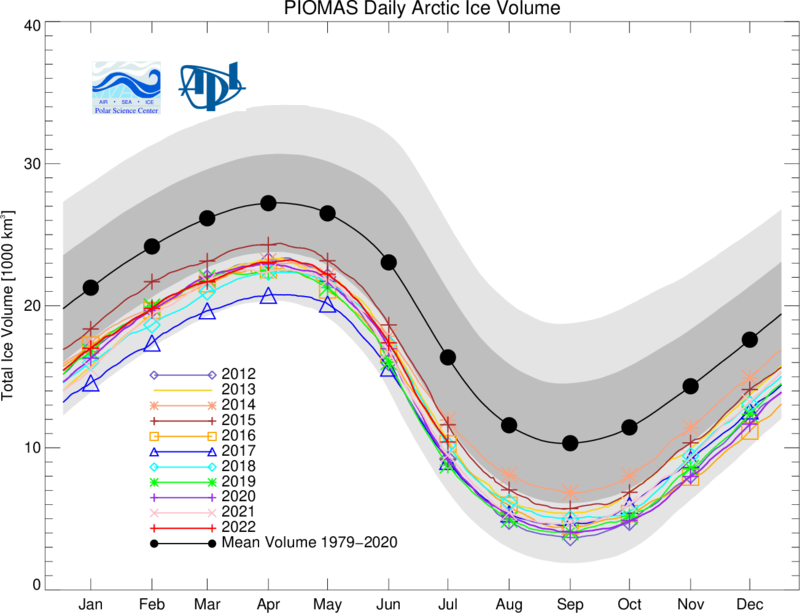 The average ice thickness is dodgy as well, according to PIOMASS in August it was 1.4m. Death spiral? Only to those where up is down. Ah, I tried using html to include the image. Here is the URL. In years with low summer ice extent, the prevailing winds have blown a lot of the ice out into the northern Atlantic, where it melts. In years with higher summer ice extent, the prevailing winds have blown much of the ice up against the Canadian archipelago, where it stays frozen. Seems that some fellow researchers were not impressed, a sample of tweets here. from the top latitudes down? It looks like it now. Could be different when the AMOC changes its phase.